Compact and highly integrated locator, fully autonomous and without external connections especially designed for high level security applications with minimum installation time. Its high environmental protection grade and its architecture make it especially suited for applications in those section where robustness and portability are key factors. Integrated vibration sensor make it especially suited for logistic and control requirement. > 3 years with 4 GSM wakes up per day and one location per week with configuration pre-loaded ex-factory. Control function and start/stop notification with programmable activation. 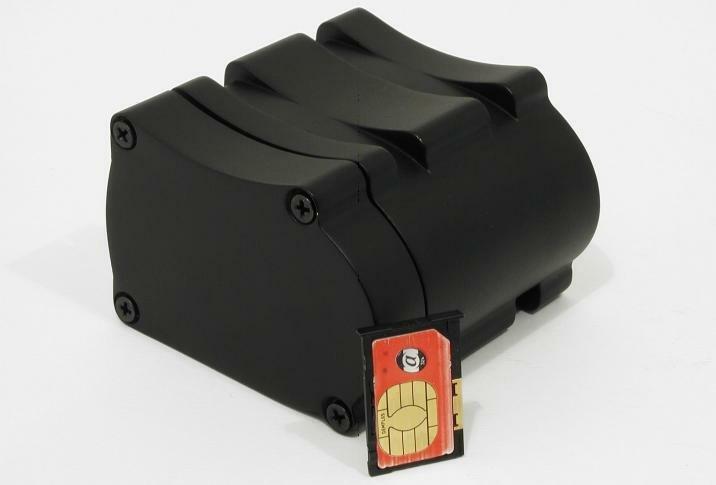 N.01 Unit integrating GSM/GPRS phone, GPS receiver, vibration sensor and antennas.